It was a long road for John Racener to win his first bracelet, and it took him all ten levels of play today to finally get to the top of that mountain. Racener started as the chip leader, but he was all over the map today. At one point just before dinner, he slipped to the bottom of the chip counts, then bounced right back up to the top. After Mike Matusow was eliminated from the tournament, it seemed like Racener just won every pot. 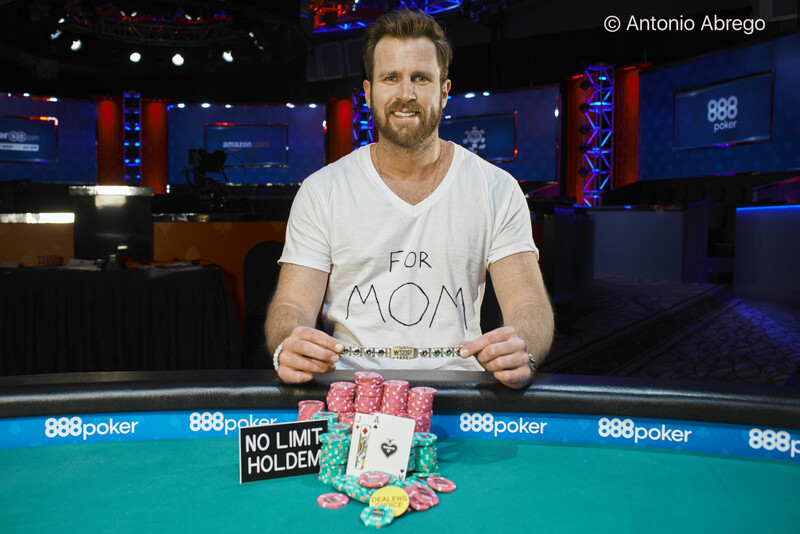 He eliminated the last three players in very quick fashion to lock up the win, the bracelet, and the $273,962 prize. 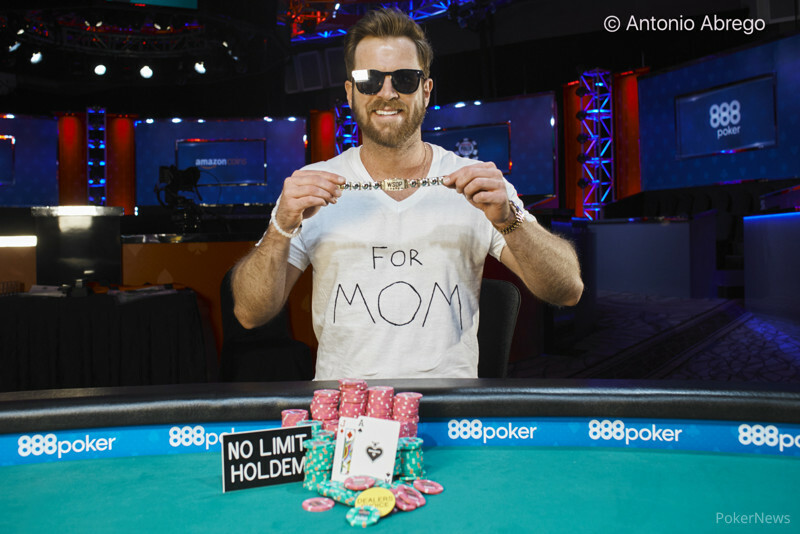 With that, Racener locked up his very first bracelet, over six years after his November Nine run and second-place finish. He took home $273,962 for the victory, but more importantly, the sense of accomplishment that goes along with it. For him that was what was most important. On the first hand of heads-up play, John Racener raised all in from the button. 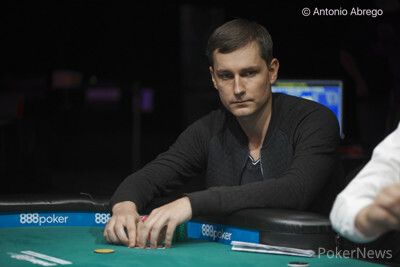 Viacheslav Zhukov called all in from the big blind for about 650,000 with , flipping with Racener's . The flop fell , excellent for Racener's hand. "He's got one out," Racener told his rail. Those outs increased when the turn paired the board, but the river was the , giving Racener jacks full of fives to win the pot and eliminate Zhukov in second place. Racener thought for a moment about game selection. "I'm gonna go with my best game," he said slapping down the No-Limit Hold'em plaque. Chris Klodnicki shoved all in from the button. Action folded to John Racener. He asked for a count, then decided to call. The board ran out giving Racener the best pair of tens and eliminating Klodnicki from the tournament. He will go home with third place and collect $117,786. 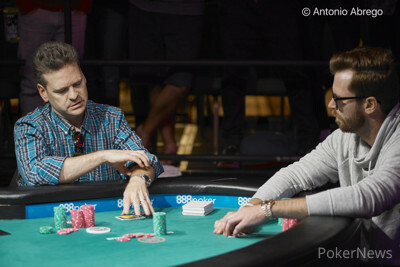 Chris Klodnicki raised to 125,000 from the button and John Racener called from the big blind. 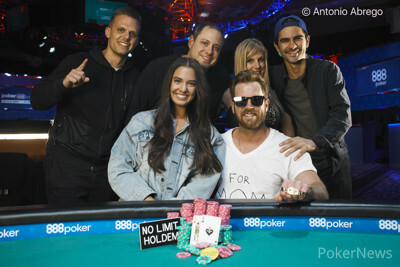 Racener drew two, Klodnicki drew three, and Racener bet the pot of 275,000. Klodnicki called after a few moments. Both players drew one, Racener bet 225,000 and Klodnicki called. Both players drew one again and Racener bet the pot. Klodnicki folded instantly, surrendering the pot to Racener. Action folded around to Dennis Eichhorn on the button. He raised to pot, which was 140,000. Next to act was John Racener who repot to 460,000. Eichhorn put in another pot which moved him all in and Racener called. Racener took one while Eichhorn took two on the first draw. On the second draw Racener stood pat, and Eichhorn went into the tank. Eventually, he settled on only drawing one card. On the third draw, Racener stood pat and Eichhorn opted to take one. Racener showed for a made eighty-six. Eichhorn showed and was already drawing dead to Racener's eighty-six. Eichhorn's final card was the but that didn't change anything. He was eliminated in 4th place and collected $83,263 for his efforts. 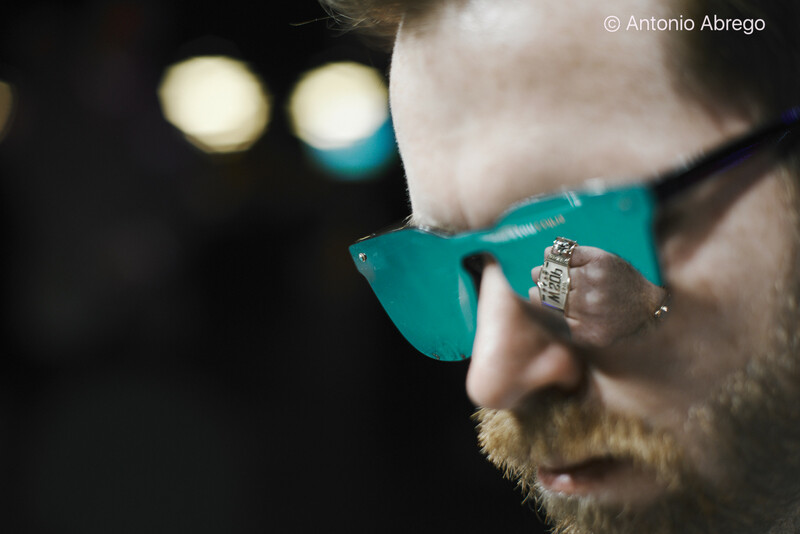 Chris Klodnicki raised all in from the small blind, and Viacheslav Zhukov called all in from the big blind for 450,000 with , leading Klodnicki's . 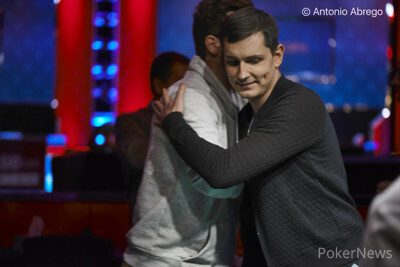 The flop came down , giving Klodnicki the lead with top two pair. The turn fell, giving Zhukov a queen-high straight to take the lead back. The river was the , giving Zhukov the double-up. From the small blind, John Racener limped in, and Chris Klodnicki checked his option in the big blind. 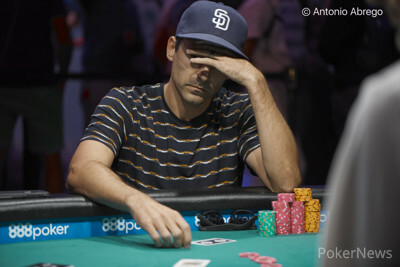 On the flop, Racener led with a bet of 90,000. Klodnicki raised to 200,000. Racener thought for a moment, then called. On the turn and the river, both players checked it down. Racener showed for a flush, and that was good enough to take down the pot.